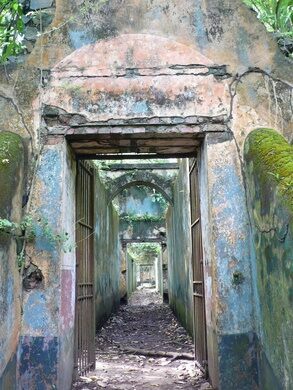 A hellish, 19th century French penal colony in French Guiana. Islands just off the shore of French Guiana look a lot like paradise. Lush forests flower in the humidity and the blue waters off the coast ring the land like a pure, refreshing belt of salty tide. But a short trip back in time, to the first half of the 20th century, shows another side of Devil’s Island, and the infamous French penal colony that made the tiny enclave world-renowned. When Devil’s Island first opened in 1852, it became a dumping ground for anyone Emperor Napoleon III wanted to get out of France. Coincidentally, the prison was opened just in time to imprison a few hundred Republicans who opposed Napoleon’s rise to power. 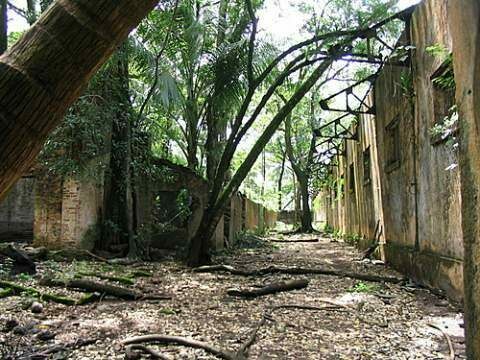 Besides political prisoners, Devil’s Island became home to hardened criminals, and fostered a community of 80,000 murderers, thieves and other hardened criminals at its peak. Besides its violent clientele, the prison became well-known for the hellish conditions prisoners endured. Summer heat fostered diseases, sharks circled the island and the few escapees who made a go of it were either never heard of, or became stories speckled with reports of cannibalism in the Guianan jungles. The penal colony was finally shut down in 1946, and the remaining prisoners were sent back to France, with stories from their harrowing experience. Today, the remnants of the penal colony speak only ghostly murmurs of the island’s cruelty and violence. 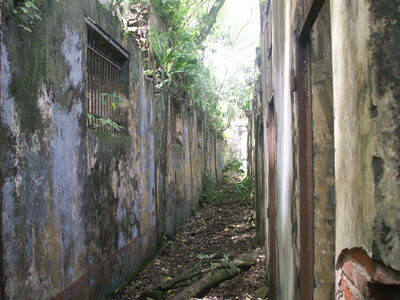 Although many of the ruins have collapsed under the jungle and elements, visitors to the island are permitted to explore the empty remains of Devil’s Island. Georgetown’s most impressive building is also one of the tallest wooden churches in the world. A Japanese pilot crash-landed on this Hawaiian island after the Pearl Harbor attack and terrorized locals for a week.